"One more of us acquitted - too late!" The only biographical information the internet spat out after feeding it the name of W. Shepard Pleasants was identifying it as the author of a little-known mystery novel, The Stingaree Murders (1932), which goes to show that immortality is not always achieved with a name emblazoned on the front cover of a book – even if the story is streaked with imagination and novel ideas. When reviewing a detective story, I often namedrop or draw comparisons with other mystery writers to no purpose other than lazy writing. It's just so much easier to mention John Dickson Carr and Agatha Christie and mumble, “it's a bit of both but not enough of either,” but it's something that can be said about this book. The cast of stock characters combined with the setting of their marooned situation gives you a feeling of revisiting Mr. U.N. Owen years before the invites were mailed and the impossible crimes are among the most original ones I have encountered in a long time. So what kept this winning combination from being remembered? I think the pushy writing style with its excessive use of exclamation marks can be tag for part of the blame. Because everything gets a dramatic note or is loaded with sinister meaning when sentences are followed around by exclamation marks! Like this! But the lion's share of the blame has to be deposited on the plate of the authors uncouth racial attitude, which was one of the worst I have ever bumped into in a detective story from the Golden Age and goes much, much further than merely embarrassing speech patterns and a plethora of outdated terminology – as the two non-white servants take the brunt of suspicion and open aired, racial-fuelled insults. I think a lot of contemporary readers would bail on this book before having reached the halfway mark. Now that we got that out of the way, lets take a look at the plot of The Stingaree Murders. The game's afoot when Mr. Leonard Reade invites a part of his well-to-do friends and acquaintances aboard the Terrapin, a houseboat, scudding across the Louisiana marsh country – while throwing out fishing lines to capture some of its native inhabitants. The impressive guest list consists of Harvey and Marie Reade (son and daughter of the host), Wayne Whitsell (their young friend and dense narrator), Mr. Pierre Lacroix (Governor of Louisiana), Paul Green (his bodyguard), J.D. Henderson (a friend and noted lawyer of the host), General Pitt and his wife, Mr. Archibald Hurley (Louisiana's Commissioner of Conservation) and O'Niel Henry (city editor of Mr. Reade's New Orleans Herald) – as well as the servant Needle and the engineer Si Ling. Governor Lacroix is a character who caught my interest because his description, as a ruler rather than a servant of the public, which reminded me of Huey "Kingfish" Long – who was Louisiana's governor when this book was penned and assassinated in 1935 when he was a U.S. senator. The governor in this book is on the verge of introducing a controversial piece of legislation that will break the back of the illegal rum runners in his state and as a result he's been receiving death-threats from a gang leader known only as The Stingaree! See how that well-positioned exclamation mark silently screamed out the many untold horrors awaiting the people aboard the houseboat in the pages ahead? The Governor anticipates a quiet week of fishing aboard the houseboat of his friend, whose rooms and decks are filled with familiar and trustworthy faces, but this unsuspicious attitude has fatal consequences when he's stabbed to death while fishing alone in a skiff without anyone near him – and when they investigate the body they also find the bard of a stingaree in his chest! And the motor has been dismantled; marooning them in the wastelands of marshy Louisiana! Bam! Beating a dead horse! (Ok, I'll stop now). 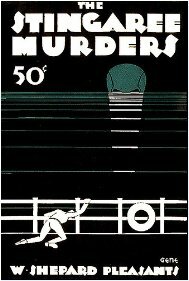 I have to admit that the method for murdering the governor is a bit far-fetched, but hey, you have to admire the originality here and any weaknesses in this first murder was made-up when I was confronted with two more baffling problems of the impossible. The unusual knife retrieved after the first murder is considered an important clue that could help identify the murderer, but nobody trusts one another to keep custody of the blade (afraid of putting it in the killers hands) and decide to drive the knife in the hardwood deck – sinking it as tight into the woodwork as Excalibur in a stone. It could only be pried loose with either supernatural strength or with the rousing noise of a chopping axe, but after a second murder they discover that the murder weapon was smoothly and silently relieved from its plight. The solution to this one was far more believable, if somewhat predictable, but the last miraculous occurrence is an absolute gem – whether you end up loving or hating it. One of the last victims is dragged from his chair into the water and drowned by forces unseen and if you know how this trick was pulled off you either want to burst out in applause or throw the book across the room. Either way, it's undeniably original in spite of working with a lot of themes, settings and characters now deemed as cliché and outdated and after the last few lackluster Golden Age mysteries a much needed refreshment. 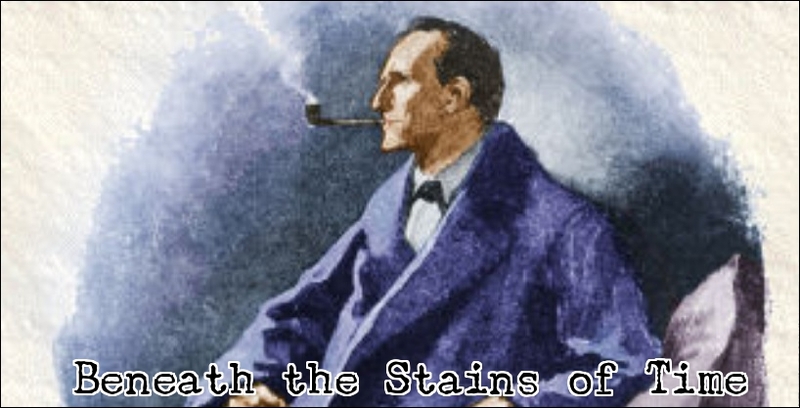 I also appreciated the sometimes tongue-in-cheek approach Pleasants took to his plot, turning nearly every character into a detective after one of them remarked that they forgot to bring a detective along for the trip and showcasing an understanding of proper clueing and fair play – which made the revelation of the murderer a bizarre surprise. Pleasants showed a lot of creativity with now overly familiar themes that I did not expect him to pin the murders on a standard character for this role, but that's exactly what happened and one has to wonder whether that was bad writing or clever misdirection in retrospect? Oh, and I loved how almost nothing went according to the killers plan and that made that one bit of luck this person had in pulling off one the tricks more acceptable. If you have read in-between the lines, you probably have picked up that I found this an interesting curio with a fresh look on an old theme and plenty of good ideas, but its unashamed airing of 1930s racial opinion makes this a problematic book to recommend to a modern audience. If you can put it down as a product of its time and think you have come across every trick in the book than you simply have to pick this one up. But on a more serious note, I will have to do something about this situation to get you back for this. I can't help that I like what I like and why the wariness? As far as I recall, the only one we differed about was Green's What a Body! and yours is a minority opinion (yes, that was an argumentum ad populum, but it so wonderfully proves my point ;-). Besides, have you read the Herbert Resnicow novels I praised for their original take on the locked room problem? Aha! Note how the exclamation mark marks my victory in this debate. The Mystery League had an editorial board of dubious tastes. 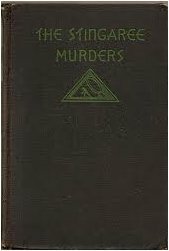 Though they managed to snag two classics -- DEATH WALKS IN EASTREPPS and THE SECRET OF HIGH ELDERSHAM -- as first US editions they did publish an awful lot of stinkers including THE EBONY BED MURDERS, THE CURSE OF DOONE and TURMOIL AT BREDE - all of them loony tunes in their plots and writing styles. You ought to track down THE INVISIBLE HOST. After Patrick's recent dissection of the entire cast of TEN LITTLE INDIANS it would be an eye-opening reading experience as it is an near duplicate of Christie's book and it came many years before hers. As for a stingray barb as a fatal way to meet your death -- that's exactly the way poor Steve Irwin, TV adventure host and wildlife expert, left the world though his was a bizarre accident. The Invisible Host overstayed its welcome on my shelves a long time ago and I think I even noted it as one of the worst detective novels read in 2008. I bought it purely for the Christie-connection, but quickly understood its obscurity. Thanks for the warning on The Ebony Bed Murders. I was sort of tempted to buy it one of these days. Felling a bit self-conscious now about my over-use of exclamation marks ... (and ellipses ...). Thanks for unearthing this curio - have not read it, or even come across a copy, but I'll park the info for some future book browsing - cheers. "If you can put it down as a product of its time"
Well, why wouldn't one be able to do that? I can put it down as an product of its time and point out its merits, but I know that there are people who have a real problem with it. Fellow mystery fan/critic Mike Grost even takes a books racial attitude into judging its merits and demerits. He always praises writers, like Clyde Clason, for fighting the stereotypes of their times and I don't think he would be as kind to this book as I was, just for that. Sounds intriguing, but am none the wiser as to why the name 'Stingaree' featured in the title. But you may wish to note that 'Stingaree Rides Again' by E.W. Hornung will be published in May 2016 - a sequel to the same author's 'Stingaree' (1905), albeit one hundred and eleven years overdue. "The governor in this book is on the verge of introducing a controversial piece of legislation that will break the back of the illegal rum runners in his state and as a result he's been receiving death-threats from a gang leader known only as The Stingaree!" And thanks for the heads up about the Hornung novel.